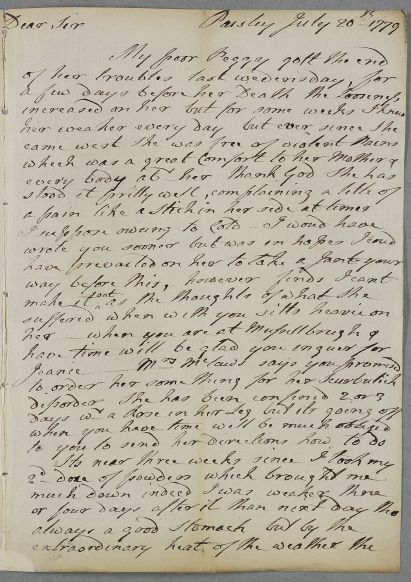 Letter from Robert Neilson, reporting the death of his daughter Peggy and concerning his own case and that of a friend, Mrs Mclaws. 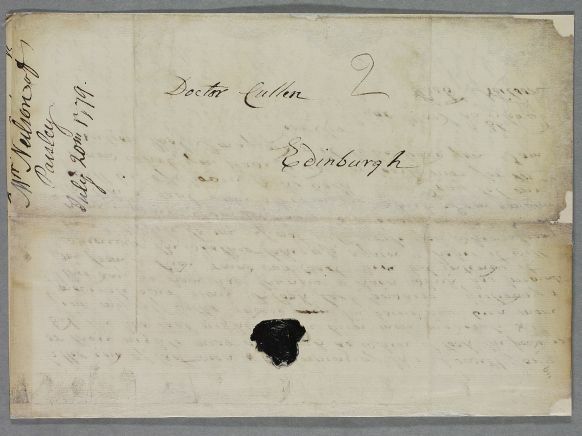 Summary Letter from Robert Neilson, reporting the death of his daughter Peggy and concerning his own case and that of a friend, Mrs Mclaws. Case of Miss Peggy Neilson seriously ill with sores, breathing problems and a 'hectic', which eventually proves fatal. 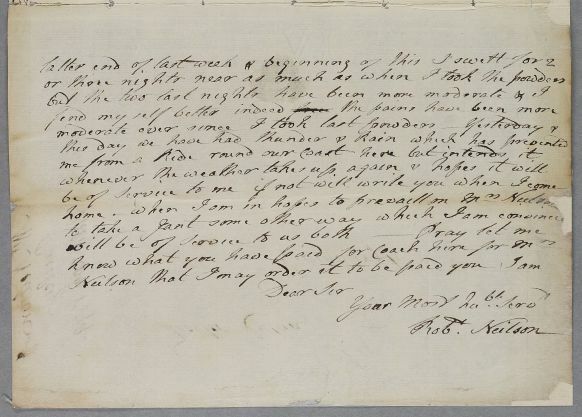 Case of Mrs McLaws (Macclaw) who has an 'eruption on her arm'.